Opera News praises Corey Bix for his “clear sense of drama and self-possession, exhibiting sturdy, unwavering control, flinty resonance and confident high notes.” In the 2017-18 season, he makes his Canadian Opera Company debut as Elemer in Arabella. 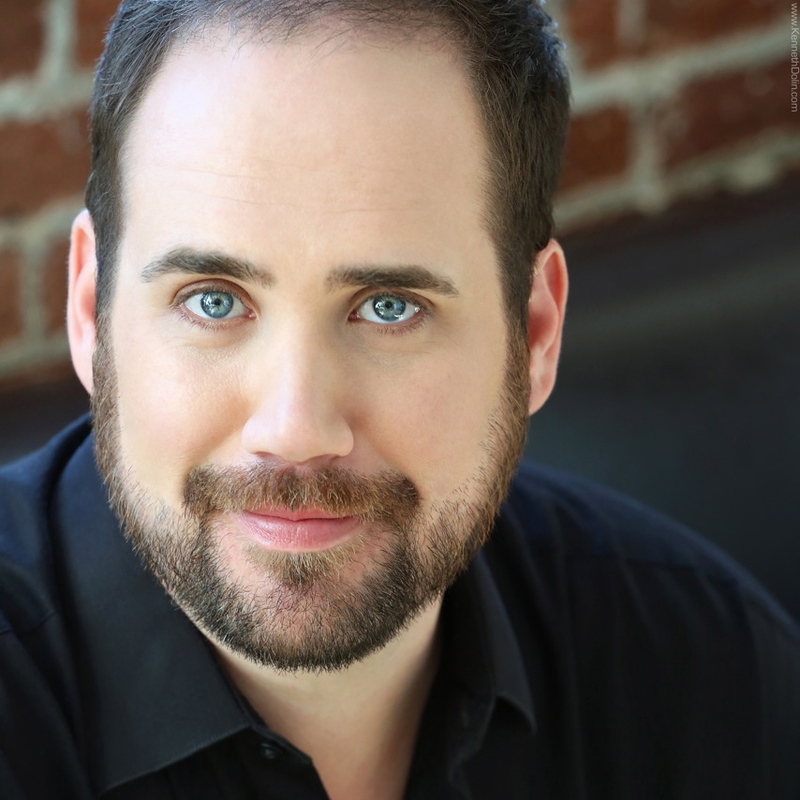 Last season, he returned to Virginia Opera for his first performances of Max in Der Freischütz, the Lyric Opera of Chicago as Énée and Helenus in Les Troyens, and joined the Metropolitan Opera roster for its production of Der fliegende Holländer. He recently returned to San Francisco Opera as Augustin Moser in Die Meistersinger von Nürnberg and also for its production of Jenůfa, joined Virginia Opera as Erik in Der fliegende Holländer, Austin Lyric Opera to reprise his acclaimed portrayal of Lennie in Of Mice and Men, and sang Mahler’s Das Lied von der Erde at the Centro Nacional de las Artes in Mexico City. Mr. Bix recently made a triumphant role debut as Énée in Les Troyens with San Francisco Opera. His other recent performances include his European debut and return to Greek National Opera as the Prince in Rusalka with Greek National Opera and the title role of Stravinsky’s Oedipus Rex; Bacchus in Ariadne auf Naxos with Washington National Opera, Vienna Volksoper, Fort Worth Opera, Badisches Staatstheater Karlsruhe, and The Glimmerglass Festival; Erik in Der fliegende Holländer with Los Angeles Opera, Hungarian National Opera, and Arizona Opera; Kaiser in Die Frau ohne Schatten with Oper Graz; Walther in Die Meistersinger von Nürnberg with Theater Kiel; the title role of Flotow’s Alessandro Stradella with the Stadttheater Giesen; Heinrich in Tannhäuser; in addition to joining the Teatro alla Scala and Savonlinna Festival for their productions of Lohengrin and the Cleveland Orchestra for its tour of Daphne. He has sung both Florestan in Fidelio and Lennie in Of Mice and Men with Utah Opera and Tulsa Opera, Sir Edgar Aubry in Der Vampyr with New Orleans Opera, Aegisth in Elektra with Des Moines Metro Opera, and Alfred in Die Fledermaus with Anchorage Opera. He sang the First Senator in Die Gezeichneten while covering the role of Albiano under the baton of James Conlon at Los Angeles Opera and joined San Francisco Opera for the Fourth Jew in Salome. With Santa Fe Opera he covered Yonas in Saariaho’s Adriana Mater, the title role of Lucio Silla, and Tamino in Die Zauberflöte and sang Dr. Caius in Falstaff and the Second Jew in Salome. His other recent performances include Don Jose in Carmen with the Aspen Opera Theater with Julius Rudel conducting as well as with the Glacier Symphony in Montana, Tamino in the workshop of the family version of Die Zauberflöte with the Metropolitan Opera, and Sam in Susannah with New York Opera Projects. Mr. Bix joined the American Symphony Orchestra for Szymanowski’s Symphony No. 3, Pharaoh in Dessau’s Hagadah shel Pessach, and Pheobus de Chateuoers in Schmidt’s Notre Dame, the Cathedral Choral Society for Janáček’s Glagolitic Mass at the National Cathedral in Washington D.C., and Palm Beach Symphony for Mozart’s Requiem. At the Bard Music Festival, he sang excerpts of Die Meistersinger von Nürnberg in concert along with a recital of German and joined the Wagner Society of Washington D.C. for a concert that included excerpts of Siegmund in Die Walküre and Walther in Die Meistersinger von Nürnberg. He sang the Fourth Jew in concert performances of Salome with Philadelphia Orchestra under the baton of Yannick Nézet-Séguin. He presented a recital with soprano Lauren Flanigan under the auspices of the George London Foundation at the Morgan Library as well as solo programs for the Wagner Society of New York and at his alma mater of Simpson College. Mr. Bix is the 2008 winner of the Robert Lauch Memorial Grant from the Wagner Society of New York and the 2007 winner of the George London/Kirsten Flagstad Award for a singer with potential for a Wagnerian career as well as the foundation’s prestigious Vienna Prize. Additionally, he has been a prizewinner in both the New England and Southeast regions of the Metropolitan Opera National Council Auditions. He is a former member of the apprentice programs of the Santa Fe Opera, Florida Grand Opera, Glimmerglass Opera, and Des Moines Metro Opera and earned a Master of Music from New England Conservatory and his Bachelor of Music from Simpson College.